. :: Talent Scan Online ::. Basel, Bern and Zurich Universities, the Swiss Federal Institute of Technology Zurich (Eidgenössische Technische Hochschule, ETHZ), the University of St. Gallen for Business Administration, Economics, Law and Social Sciences, and the University College of Lucerne. Genève, Lausanne, Neuchâtel, Fribourg Universities (Fribourg is bilingual, i.e. German and French) and the Swiss Federal Institute of Technology Lausanne (Ecole Polytechnique Fédérale, EPFL). While each university has its own character, all have a similar structure. They are divided into schools: law, social sciences, arts, theology, natural sciences, and medicine. Fribourg and Neuchâtel Universities have no medical school, but provide a medical curriculum up to the pre-diploma level. The two Federal Institutes of Technology train engineers, architects, chemists, physicists, and mathematicians. The Federal Institute of Technology in Zurich also has courses in pharmacy, agriculture, forestry, mathematics, and natural sciences. The University of St. Gallen prepares its students for management positions in industry (Master of International Management), business administration, and for teaching positions in business. Lucerne specializes in Catholic theology and philosophy. The newly established Università della Svizzera italiana has schools of architecture, economics, and communications. The academic year is divided into two semesters, the winter term lasting from mid-October to early March and the summer term from mid-April to mid-July. Swiss universities do not provide on-campus accommodations. Those wishing to enrol must have a state-recognized Swiss matriculation certificate or a foreign certificate/diploma of equivalent value. All Swiss university-level institutions are autonomous, and therefore requirements for admission can vary.. Candidates holding a certificate, which is only partly equivalent to Swiss matriculation, can sit for one of the entrance examinations held twice a year in Fribourg by the Swiss universities. Applications are made through the Secretariat of the university to which entrance is desired, which will also supply detailed information about the examinations. The candidate may wish to prepare for the entrance examinations by attending courses specifically designed for this purpose in Fribourg. The total duration of studies up to the first academic examination is generally eight semesters, six under exceptional circumstances, depending on local rules; in the case of medical studies, it is six years. 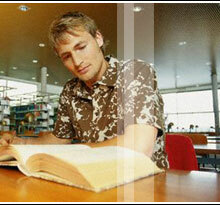 In practice, the actual period of study is longer, depending on the program of studies and the degree pursued. 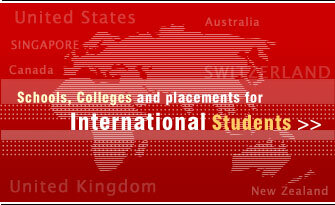 In addition to the institutes of higher education mentioned above, there are a number of private colleges in Switzerland. 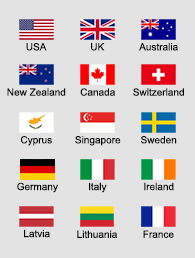 The studies and examinations offered by these colleges are not recognized in Switzerland. Some of these colleges may offer extral curricular courses. We therefore advise anyone interested in following such a course to make careful initial investigations into the recognition issue. Switzerland is very famous for Hotel management. It has a long established and outstanding reputation for excellence in hospitality education. The hospitality and Tourism industry is predicted to triple in size with in the next fifteen years. The medium of instruction in these schools are fortunately English. These colleges do not insist on English Language proficiency. 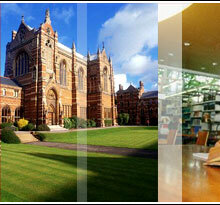 Students are absorbed from good campuses for placement in European and American countries.